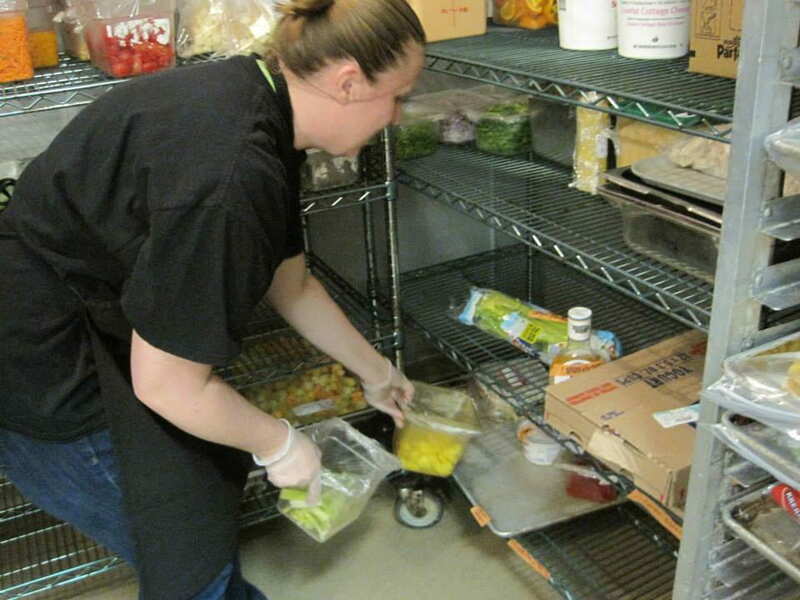 The Campus Kitchen at UWGB (CKUWGB) is your local branch of the Campus Kitchens Project. Our goal is to help reduce food waste in the community by turning edible food waste, destined for the trash, into something fit for the table. We then serve our meals for free in the community to low-income and hungry adults to reduce food insecurity. Thanks to the efforts of our start up committee, we won an official grant from the Campus Kitchens Project in partnership with Sodexo Foundation. This lead to our official opening in April 2014. We even hit the local news! 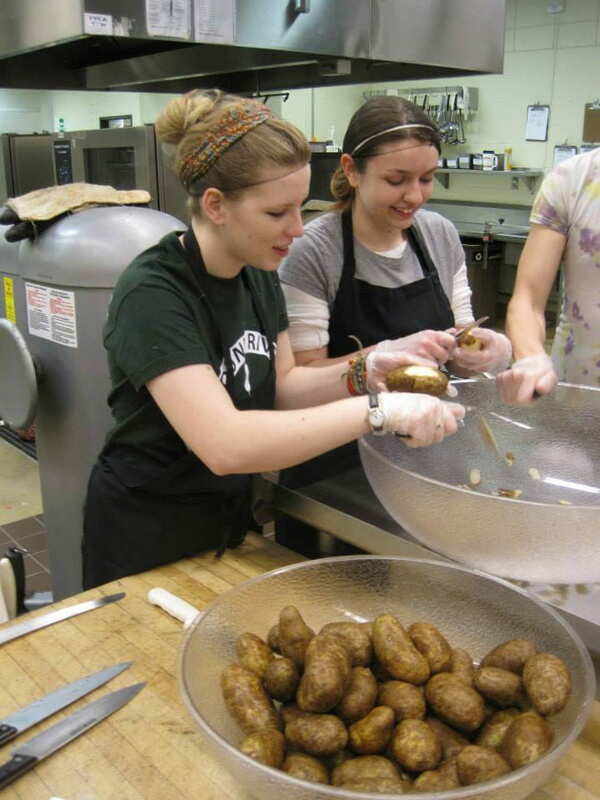 The Campus Kitchen at UWGB is volunteer run by both University of Wisconsin-Green Bay (UWGB) students and community members. We have opportunities to become shift leaders, food collectors, chefs-in-the-making and servers welcome to anyone wishing to help us out on our goal to reduce food waste. Please check out our Volunteerhub for upcoming dates, or shoot us an email at socampuskitchen@uwgb.edu if you are interested in volunteering with us!